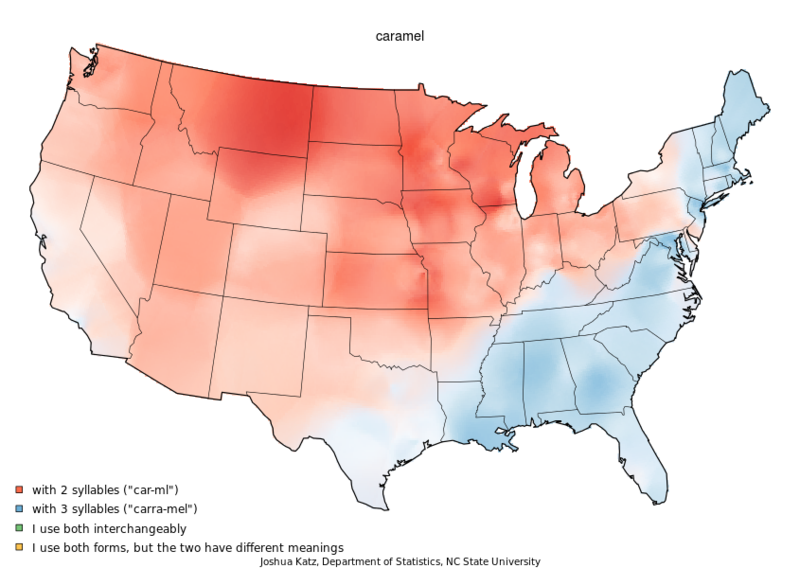 These studies by the Department of Statistics illustrate what we all know already; Michiganders can't pronounce caramel. 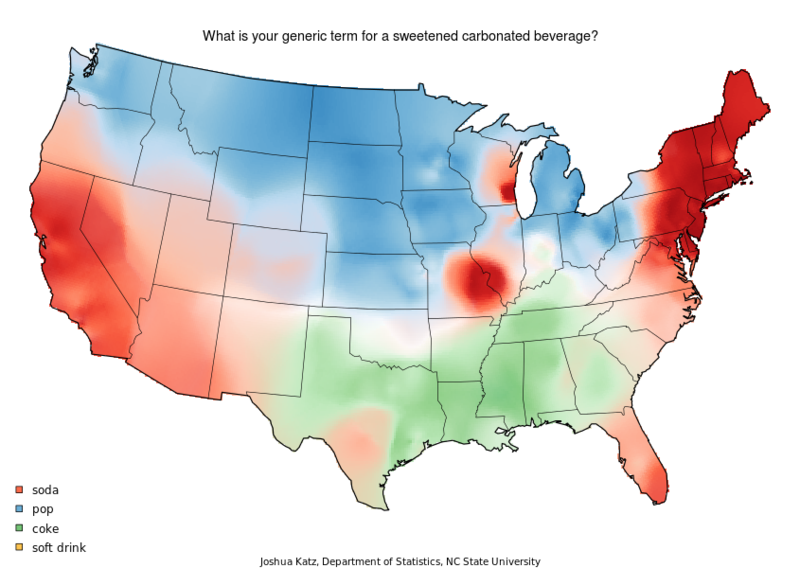 The first map shows the pop vs. soda debate well. 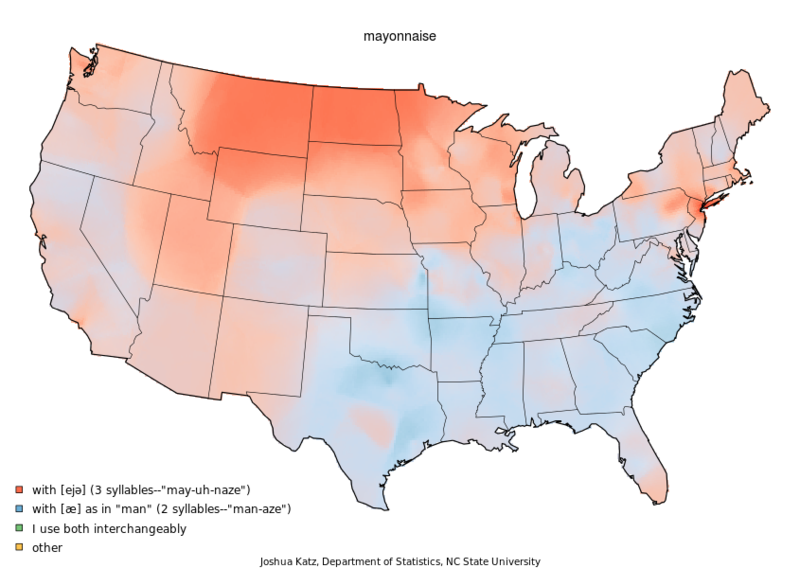 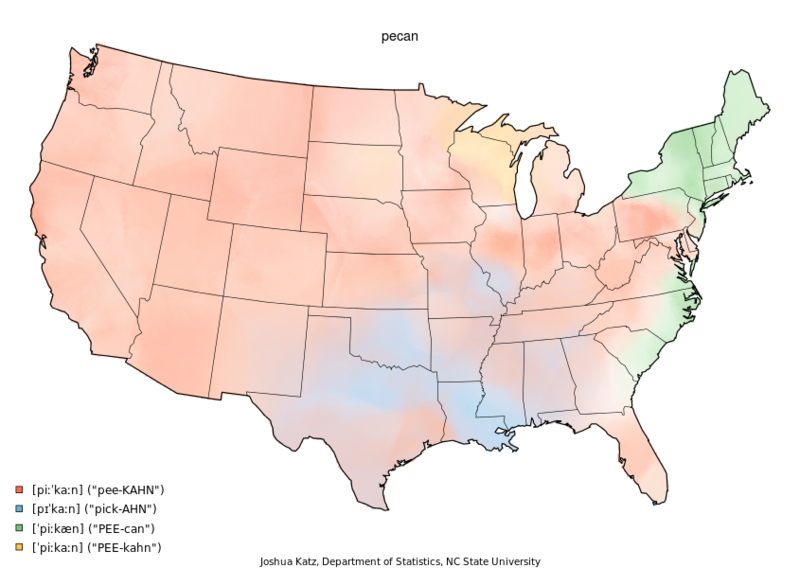 The heterogeneity of mayonnaise pronunciation in MI is really interesting. 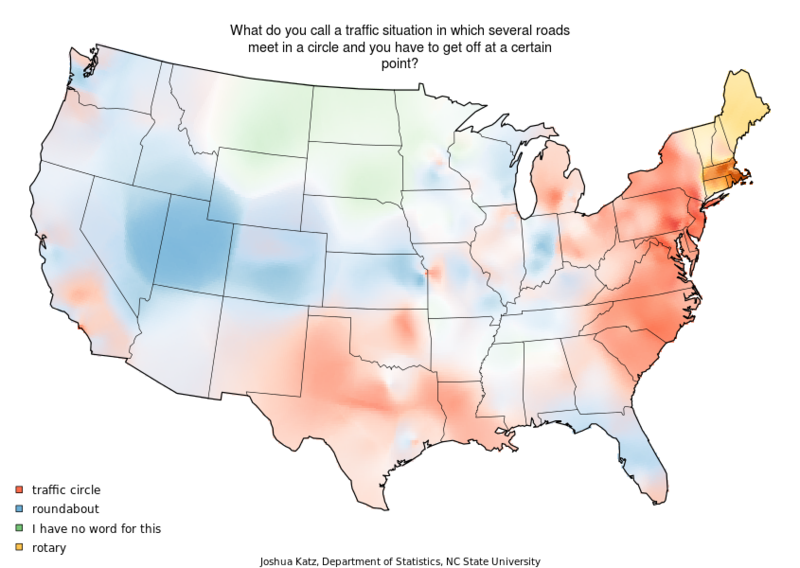 Also, I feel sad for the people in the Plains States who have no word for "roundabout."